Just one week before the 10th anniversary of ShoBox: The New Generation, Cintron, who fought three times on ShoBox from 2001 to 2002 including the series’ third telecast, will take on Molina in a 10-round junior middleweight tilt. 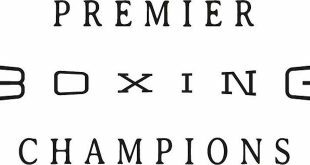 Following that, Brandon “Bam Bam” Rios (27-0-1, 19 KOs), of Oxnard , Calif. , and two-time world title challenger Urbano Antillon (28-2, 20 KOs), of Maywood, Calif., tangle for the WBA lightweight championship in the Top Rank-promoted main event on Showtime Championship Boxing. Cintron, Molina and two up-and-coming Top Rank fighters worked out for the media on Thursday at Fortune Gym in Hollywood. 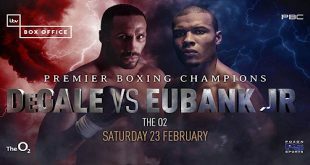 The telecast also will include highlights from overseas as IBF super middleweight champion Lucian Bute (28-0, 23 KOs) defends his title for an eighth time – but first in his home country of Romania – against mandatory challenger Jean-Paul Mendy (29-0-1, 16 KOs) of France. Tickets, priced at $125, $75, $50 and $25, are available at all Ticketmaster outlets and online at www.Ticketmaster.com as well as The Home Depot Center Box Office (Monday through Friday, 10 a.m. to 6 p.m.). Suites are available by calling (877) 604-8777. “I’m feeling really light right now which is different than I have for my last couple of fights. It’s been great to have Mike Lee down in Houston with us fulltime and training with Ronnie (Shields). 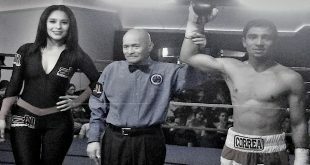 “I sparred with Carlos five years ago but none of that matters now. I know he’s gotten better but I just look at him like just another opponent. When you’re a boxer you have to be ready to go in there with anyone and that’s what I’m going to do. “Everything is good and everything is in order. Now it’s just time to weigh in and then it’s fight time. This is the biggest fight of my career and my first time on Showtime. I mean, you always want to do good but this is Showtime so you want to perform and put on a good show even more. “As boxers we put everything out of our minds. If it does bother him, I’ll take advantage of it. But I really don’t think it will and shouldn’t be an issue. 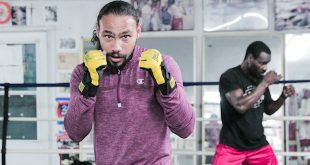 “I just can’t wait to get in there and show people how much better I’ve gotten since my last fight. For my last fight I just felt heavier. Now, I’ve built more muscle and just feel so much stronger.